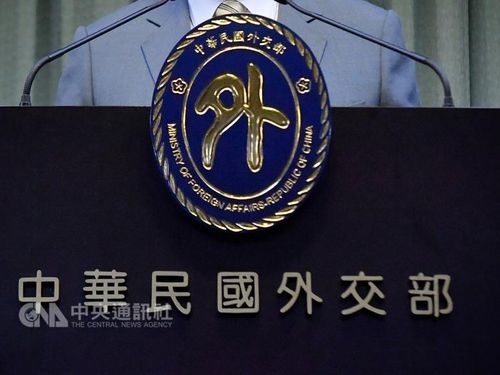 Taipei, Jan. 25 (CNA) Taiwan lodged a strong protest against the opening of an exhibition hall in Tokyo, Japan, that highlights its territorial claim over the Diaoyutai island group and Dokdo Thursday. In a statement, the Ministry of Foreign Affairs (MOFA) stressed that the Diaoiyutai islets are the territory of the Republic of China. "This is our consistent stance on the issue," said Andrew Lee (李憲章), MOFA spokesman. The Republic of China government has always proposed a peaceful resolution to the dispute and all parties concerned should do everything they can to avoid escalating tensions, Lee told CNA. In a press statement sent to reporters later that day, the MOFA modified the wording of its statement from "strong protest" to "protest." According to Japanese media reports, Japan’s minister for territorial affairs, Tetsuma Esaki, emphasized that the newly established exhibition hall is aimed at deepening Japanese people’s knowledge of the two controversial locations. The uninhabited Diaoyutai islets, located 170 km northeast of Taiwan, are claimed by Taiwan, China and Japan, which calls them the Senkaku Islands. They have been under Japanese administrative control since 1971. South Korea also lodged a strong protest over the Japanese move involving Dokdo, an island now under Korean control but claimed by Japan, which calls it Takeshima. Seoul urged Japan to immediately close the exhibition hall, reminding Japan that a "correct view of history" is the foundation of South Korea-Japan relations.